I'm Sophie, a 23 year old who loves to travel! I've just graduated from the University of Nottingham with a Philosophy degree. I'm taking a year (or two) out to do some travelling before I enter the real world! This blog will document my travels as well as my everyday life. There may also be the odd student post or clothing haul, whatever takes my fancy really! I started this little blog back in June 2012 with my friend Emily. When I started university I stopped blogging because, in all honesty, I fell out of love with it. Blogging and I have had a on/off relationship since then. 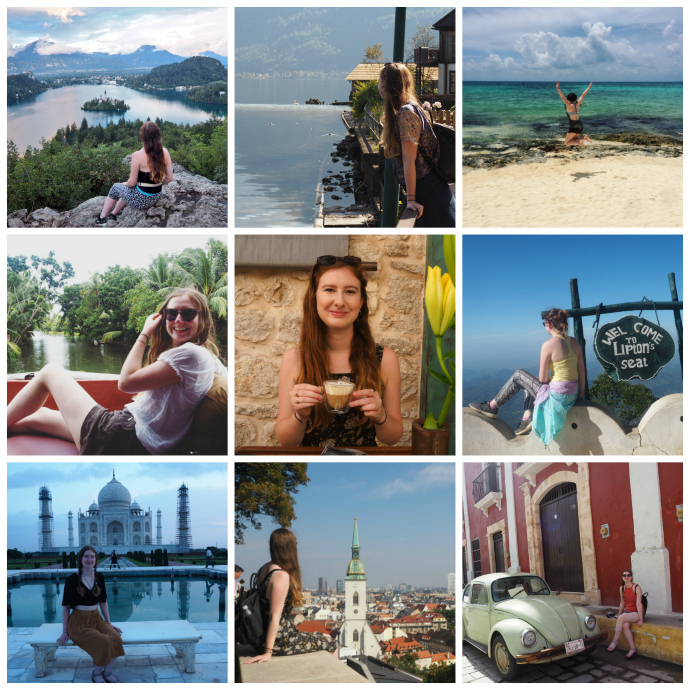 That was until I did a bit of travelling and decided I wanted to completely change the direction of the blog and write about something I have a true passion for: travel! In October 2016 I rebranded my blog and started a fresh focusing on travel and lifestyle. I've always loved the thought of travelling but it wasn't until June 2015 that I got to make this dream a reality. I began my first backpacking trip with my university friend Kate. University allowed me to find friends who also had a love for travel. This backpacking trip consisted of visiting Myanmar and Indonesia and while there were some downs (learning the true meaning of the 'dehli belly'! and struggling in 45 degree heat!) on the whole it was great! Since then I've visited 26 countries, done four more backpacking trips and lived in Shanghai for a month. I'm hoping to travel even more in 2018 and share all my adventures here on my little blog! As much as I love travelling I also have some other passions. I love to read but currently have a bookshelf full of books I have yet to read. I love cats, I'm a self confessed crazy cat lady who is likely to end up living alone with (at least) 10 cats by the time I'm 30. That's a joke, I'm hoping I don't become a crazy cat lady! I also love to scrapbook but am the least creative person ever. I can't draw or do any of the pretty fonts people use in their bullet journals. But I scrapbook anyway even though I'm about a year behind documenting my travels. Oh, and I'm a chocoholic.